The Love of My Life went to Heaven. Dear Becky (Favorite Author), My heart and prayers are with you during this painful and difficult time. Like the rest of the earthlings that your life has touched, Buddy was very blessed to have you. So sorry for your loss, Becky. Buddy may be gone – but never forgotten. You’re right, she’ll never be forgotten. Very sorry for your loss. Here is a tip to help you through your grief. When you are among other people and you have the urge to cry, and they ask what is wrong, just say a very good friend of yours died and avoid the ridicule of people that will never comprehend the hurt of losing a beloved animal friend that has been a bug part if your life for years. Blessings. Thank you. That’s great advice. Aw, I’m so sorry. I went through this twice in the last year with my elderly dogs, and I totally sympathize with you. For awhile, every time I saw a dog like mine being walked, I wanted to stop my car and get out and hug it. Grief is so very hard, but thank God it eases with time. I’m sorry for you loss, too. 😦 Yes, it’s going to take some time. I have a dog who is also mourning the loss… heartbreaking. I’m hoping in time we will be used to our new normal. I’m so sorry to hear this, Becky. You are not alone in your grief – I know how heart-wrenching losing a dear pet can be. I usually retreat to bed and sleep for a day. When I get up life is a bit brighter. We all accept that we will lose our wonderful companions one day, when we adopt them, but it doesn’t make the loss any easier. Jemima Pett recently lost her pet companion Victor. My heart goes out to both of you. So very sorry for your loss!! Sending out big hugs to you. So sorry to hear it. There is another star in the Heavens now. Sorry to hear about the loss of your furry friend. I’m so sad for you. I look at my own furry friend and I know my world, as I know, it would crumble without him. I am so sorry. I have never been ashamed to say I am crying because of a beloved pet dying. Cry, have your fgrief and when you feel a little better, remember the love and the precious times. Don’t let people take that away from you. I have been amazed by how many people truly understand. I am so very sorry and my heart hurts for you. Again, I feel so badlyfor you. They are such an important and special part of our lives. They never really leave us. All theyhave taught us has made us better. We carry them forever in their special place in our hearts. Let your tears flow. I am so sorry for your loss! Hugs to you! So sad, I really feel for you. 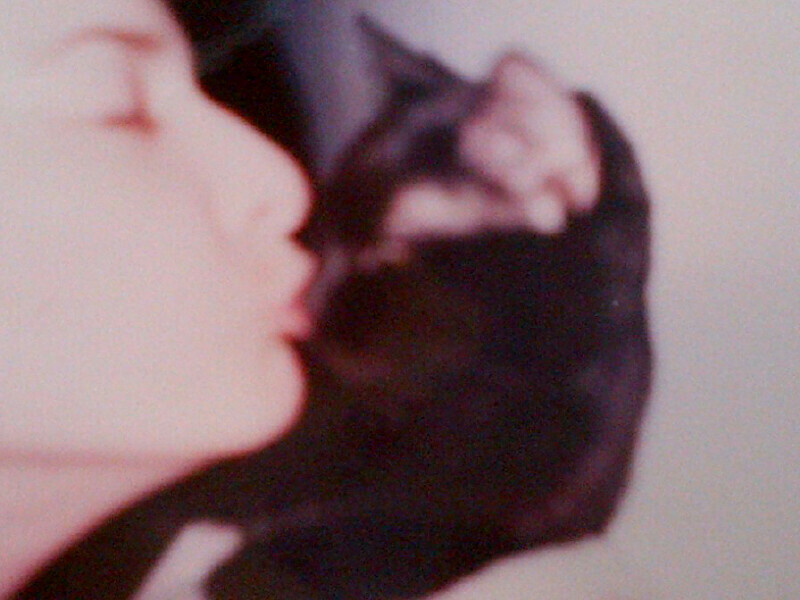 I love all my cats dearly, and still miss the ones who have passed away. Yes, I’m sure I will always miss Buddy. She was a wonderful cat and the best companion. I feel for you. I feel your pain. When that happened to me, I went out and bought a puppy. I needed someone to hold in my arms while I grieved. My Maltese now brings me joy. I understand about the holding… that is the one thing I’ll miss the most about Buddy. I have a great little Pug that has been a blessing… but there are times I think she seems a little down too… my pain doubles when I think she’s sad about Buddy. But I’m also loving her like crazy and I know in time, we’ll find our new normal.